These attractive silver swimming medals are offered at a very low price for such a quality product. They are 50mm (2in) in diameter and have a silver colour finish, with a detailed swimming scene on the front. The medals include a ribbon loop (ribbons available separately). 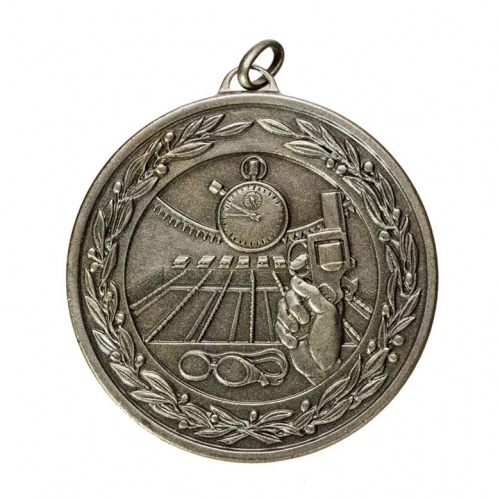 Optional deluxe velvet medal cases are available in a range of colours, as is an optional low-cost self-standing case. We offer low cost engraving of the blank reverse of these silver medals for swimmers.